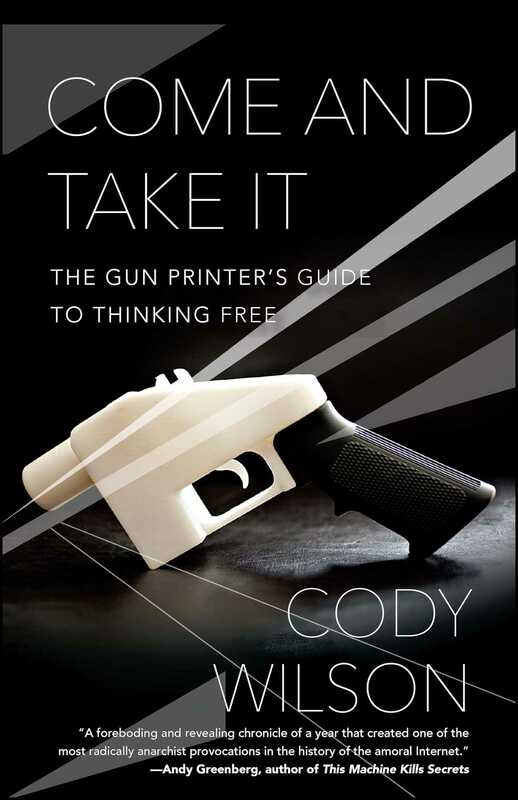 A startling philosophical manifesto for the twenty-first century on freedom of information, Come and Take It is the controversial yet thrilling story of the first ever-3D printable gun, developed by self-described crypto-anarchist and rogue thinker Cody Wilson. 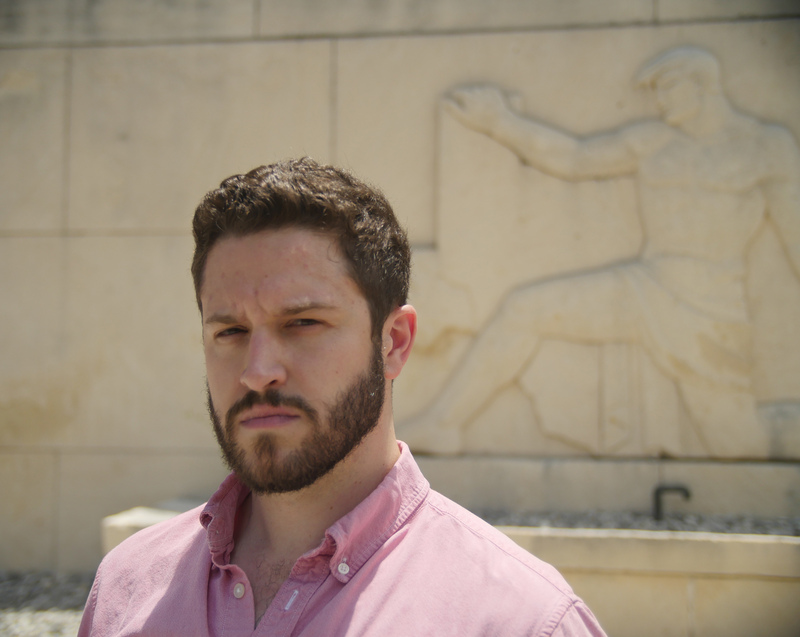 In Defense Distributed, Cody Wilson’s employees worked against all odds to defend liberty and the right to access arms through the production of 3D printed firearms. Now, Wilson crafts a unique and critical guide through the digital revolution and follows a group of digital radicals as they navigate political subterfuge—deflecting interference from the State Department and the Bureau of Alcohol, Tobacco, Firearms and Explosives—to create a technological miracle, against all odds. Harkening to both Zen and the Art of Motorcycle Maintenance and The Anarchist Cookbook, Come and Take It combines elements of a modern-day thriller with a fascinating philosophical treatise, and Wilson paints a scathing and timely portrait of an ideologically polarized America and his own struggle in the fight for liberty. At high summer, we gathered in Little Rock at the Peabody. By the evening the hotel’s signature ducks—four hens and a drake—would have already completed their twice-daily march from the rooftop penthouse to the lobby fountain, where they fluttered and splashed. In a few more months the Southern charm would be wrung from the place: no more mallards in the elevator. But back then, in the summer of 2012, we basked in the final flickering of it all. We drank to the uneasiness in culture. Music, voices, and the sounds of the running fountain danced about the marbled, open floors. Golden light filled the huge recesses above and around the lobby bar, ringed by six great pillars. The hotel opened directly onto Markham Street and the walking crowds on the Old Statehouse plaza. I lured any who might listen to this marvelous set piece with the grandest exhortations—Would you be remembered?—and here made a ritual of holding a fiendish court. At one of these twilight salons sat Chris Hancock, an old classmate of mine, his tangled black hair brushed from his face. He had brought a friend. “WikiLeaks sends everything they’ve got out to the public in advance. It’s all published and torrented but protected from reading by some long password, right?” Chris answered. I liked to watch the realization come to people in stages. It had been no different with Chris. Except on this night he made a conceptual leap. “A Wiki Weapon,” he mused, looking down at the square candle on our table. And I admit I was a little stunned by the words. Alarmed, even, that the clever coinage was a sign I still didn’t understand the significance of the proposition after these months. They made me jealous too. The eminent science-fiction writer Arthur C. Clarke’s Third Law states: “Any sufficiently advanced technology is indistinguishable from magic.” Although 3D printing may seem like magic, it came from very practical beginnings. A man named Chuck Hull first demonstrated “solid imaging” in the lab in 1984. He translated a digital design into a set of coordinates able to be translated to an ultraviolet beam aimed at a vat of liquid photopolymer. As the light traced lines upon the surface of this bath, the exposed lines cured and solidified. After a cross section of the design was drawn, the laser traced another section to build another layer. Chuck says he woke his wife in the night to show her his first true part. He patented the technology and co-founded a company to sell it by the name of 3D Systems. In the late eighties, Scott Crump pioneered a method for solid imaging based on the controlled layering of thermoplastic through a filament feed. The “Eureka!” story goes that he was inspired by his use of a hot-glue gun one afternoon. Around the same time, in 1984, Richard Stallman, a programmer from Harvard and MIT, was on a mission to offer computer users something entirely different: “free software.” “The word ‘free’ in our name does not refer to price,” he wrote in 1986. “It refers to freedom.” Users would be given the freedom to copy a program and redistribute it to their neighbors. And they would be able to change a program so that they could control it. This meant that the source code for the program would be publicly available. The term open source came from a working group in California responding to a monumental act by Netscape, who decided to offer their browser as free software to the public in 1998. Free and open-source software can now be found everywhere you look. Names like Linux, Python, Apache, Perl, and perhaps even Bitcoin may not mean much to you, but you likely use devices or applications based upon these open-source softwares every day of your life. I consider myself lucky to have been attending the University of Texas at Austin when we began the work that would lead to the 3D printed pistol. The university was at the forefront of developing 3D printing techniques in the 1980s, and in the years since I began the project, I’ve been regularly surprised by its academic and commercial contributions to the technologies I was exploring—not to mention the contributions of the state of Texas as a whole. Over the years I’ve picked through the old papers on the printing innovations, usually with an eye for the personalities of the early authors and industry players. When I read Dr. Paul Jacobs’s work from the early nineties, what stood out to me most was his American optimism. He believed the technology was and would be a great boon to American enterprise. So, 3D printing has been around for a while. But the consumer at large mostly started hearing about it only in the last several years. Why? A New York startup named Makerbot brought to market the first successful line of retail 3D printers in 2011. If the success of our printed pistol was not your introduction to the idea of 3D printing, it was most likely Makerbot in 2012 and 2013 that caught your attention: the company’s rise and disgraceful fall have been almost totally responsible for shaping the public’s perceptions and expectations of 3D printing. And here we are . . . I knew almost none of this when I began the work of Defense Distributed. People have asked me why we printed a gun. Why I set out to print a handgun instead of, say, a heart valve. But our story doesn’t begin with the question put that way. In private conversation, when I try to answer the question why, I like to remind people what was said about our pistol (and by whom) after it was released. For example, Eric Schmidt, State capitalist extraordinaire, pronounced the release of the gun’s files a “moral crime.” I’ll point to the swift action by the US State Department to swallow up the gun’s files into the very matrix of information control the project was designed to attack. Or I’ll mention the attempts of foreign governments, mostly Western, to surveil or license their citizens’ use of digital fabrication devices. I believe the printed pistol lays bare Western ethical ideology and gets to the heart of the question of the political. Your politics will inform what you think about our actions, but you may feel differently about the potential of powerful, free, and open-source software and intellectual property after you’ve read this book. Our story starts with Benjamin Denio calling me on the phone late into my second semester of law school in Austin. He merely offered idle speculation about the future of the firearm. I was simply seduced by the idea and the wilderness to which it would bring me.